Habitat, feeding, anatomy, reproduction, communication, distribution, evolution and all the information about gorillas.  The Eastern Gorilla is considered endangered and the Western Gorilla is considered critically endangered. Gorilla information, anatomy, feeding, reproduction, distribution, evolution, predators, social structure and Gorilla conservation. Facts about Eastern Gorillas and Western Gorillas. In the impenetrable forest jungles of the lowlands and highlands of Africa, there are fascinating creatures. For a long time were a myth more than reality, but today everyone knows the gorillas. No primate exceeds in size and magnificence to these animals. They are bigger than chimpanzees, orangutans, and gibbons, therefore, they have the title of “the largest primates in the world”. They also are very close relatives to humans, as millions of years ago they shared, along with chimpanzees, a common ancestor, and that is why they have some similar characteristics to us, such as a relatively large brain compared to its body and opposable thumbs. From the scientific perspective, gorillas are tailless primates belonging to the family Hominidae and genus Gorilla. About 7 million years ago, their ancestors split from other primates known as the “great apes.” This group also includes chimpanzees, bonobos, and orangutans. Their habits are fascinating. Have you seen some gorillas that have silver hair on his back? 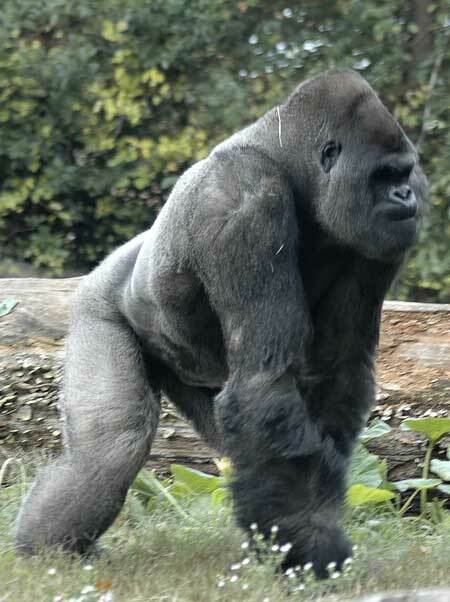 Males acquire this color when they become mature adults, which have earned them the name of “silverback”. These majestic individuals become leaders of a group of gorillas, constituted by adult females and their offspring. Silverback gorillas have many obligations as they are responsible for the welfare of their group. But not all gorillas are the same. There are two species, the western gorilla, and the eastern gorilla, separated by the Congo River. They live in the jungles and tropical forests, where their preferred food proliferates: leaves, stems, fruits, flowers and other plants. When they are not traveling or seeking food, they build comfortable nests on trees or on the ground for resting. There are only two species of gorillas, and each has two subspecies as well. They are also intelligent. A few years ago, it was believed that only humans and chimpanzees could use tools, but scientists discovered that gorillas can do so when needed. They can use sticks or branches to perform simple tasks. Once, a gorilla was seen introducing a long stick into the water to check its depth. Like this, many other behaviors have astonished scientists. When it seems that we know all about gorillas, they exhibit new, unexpected skills. There are some misconceptions about gorillas. Their size, sometimes reaching up to 2 meters high, is certainly impressive, but they are no threat to humans as long as they are not bothered or feel threatened. They are quiet animals and do not usually go around terrorizing people with their roars and blows to the chest; this is a characteristic behavior of a silverback gorilla when it has to defend his family from predators or dangers. It works as a power display to instill fear. If you are looking to meet one of the closest relatives of man, please continue reading. Let us introduce you to the gorillas. It’s sorrowful that just when we started truly knowing about gorillas, they were already threatened. By the mid-twentieth century, mountain gorillas were in danger of extinction and some people like the legendary Dian Fossey, made courageous efforts to save them. Today, all gorilla species and subspecies are endangered, although the status of the Cross River gorillas is the most critical. Many organizations and activists are performing several actions to preserve the gorillas in the world. But that is not enough; it is important to guarantee that they are safe and prosper in their natural habitat. Therefore, we need to end the threats that brought them to the brink of extinction like the loss or reduction of their habitat, poaching, and disease, among others.